Repose Furniture will be showcasing the Harlem and Boston porter chairs on stand H1 at this year’s Care Show (October 17th-18th, Birmingham NEC). The recently launched Boston features new ergonomic wing handles for ease of portering when the chair is occupied and the backrest is reclined while the new double comfort lateral back cushion provides luxurious support and comfort. 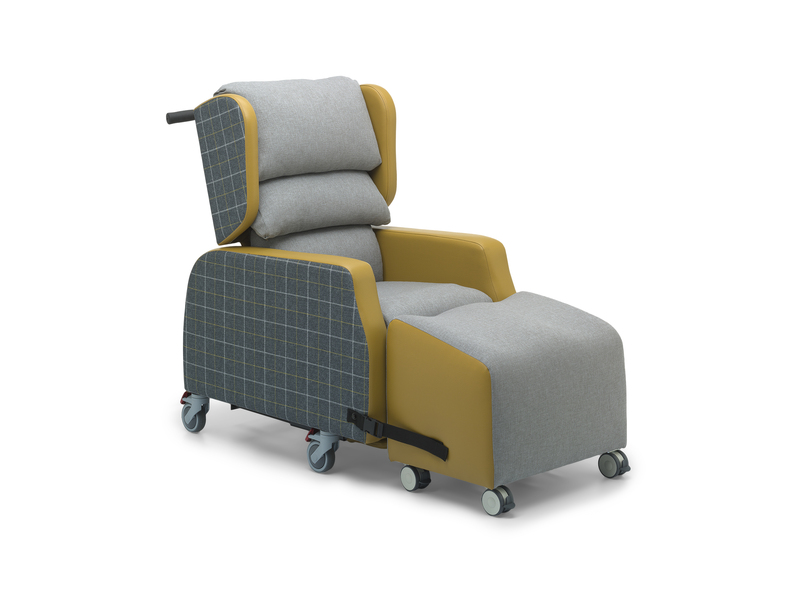 With a choice of either an electric or manual model, the Boston comes with standard features that include Tilt in Space, independently controlled backrest recline and leg elevation, as well height and angle adjustable footplate all aimed at maximising postural management as part of a 24 hour pressure care management programme. “The Boston has been engineered to meet the needs of semi-ambulant and non-ambulant users. A range of interchangeable pressure management back and seat cushion options ensure that the correct comfort and posture choices can be made and all these latest product developments combine to provide carers with the ability to adjust the users position to relieve pressure and provide all day comfort. For additional flexibility the Boston has seat depth and width adjustments to allow for weight gain or weight loss” commented Kate Sheehan, Repose’s independent Occupational Therapist. The Harlem Porter was designed specifically for people with Huntington’s Disease, but because of the robust design and comfort features it can be used for many conditions as well as general portering around the care home. Standard features include an independent back rest recline with a range of angles and seat angle adjustment to reduce the risk of a patient falling out due to severe involuntary movements. There is also a deep padded seat area for additional safety and comfort, a choice of 6 interchangeable back styles facilitating different pressure management and posture solutions and four different seat cushion options to accommodate different comfort and pressure management requirements. Further safety features include high arms and a sliding padded footplate for ease of patient movement. “We are delighted to be showcasing our Boston and Harlem porter chairs at this year’s Care Show. We will also be exhibiting further models from our portfolio of specialist seating solutions and our team of experts will be on hand throughout the show to answer questions, carry out demonstrations and books assessments for after the show” commented Managing Director, Lisa Wardley. Shackletons Celebrates 60 Years of Heritage, Craftsmanship and Comfort.